The Fishers High School Cheer Team practiced its routine three to four times a week since June for the Indiana Association of School Principals’ Indiana Cheer Championship Varsity State Finals on Nov. 3 at New Castle High School. 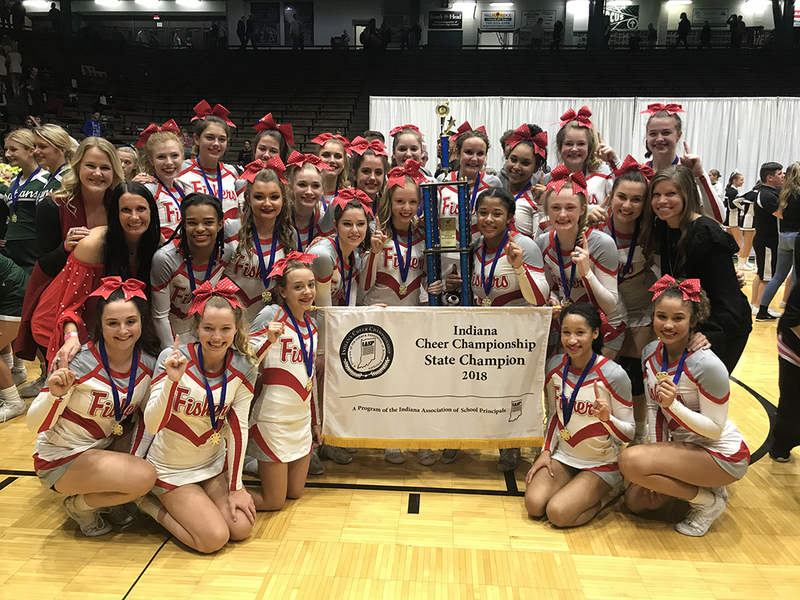 The practice paid off as the team won the Varsity A Indiana Cheer Championship State Championship. The Indiana Cheer Championship is a series of competitions featuring 23 high school teams competing for the first time and 37 varsity cheerleading teams that reached the State Finals after scoring in the top 60 percent of a preliminary contest. The FHS Cheer Team competed in Varsity A division, which was narrowed to eight teams after the preliminary round.